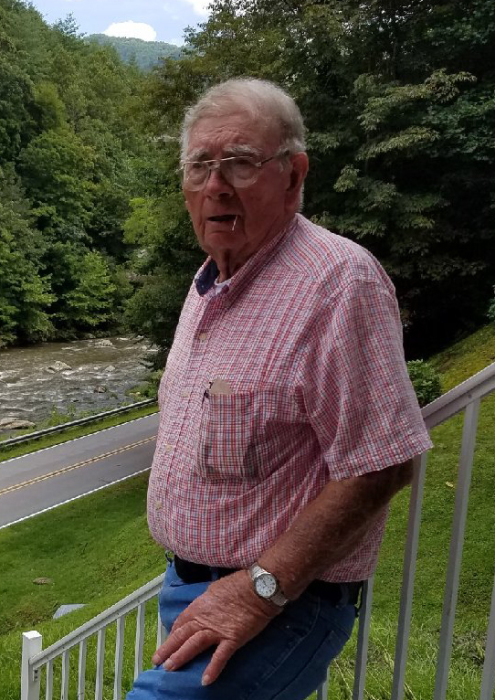 John "J.C." Calvin Carter, Sr.
John "J.C." Calvin Carter, Sr., 90, of Kinston passed away on Saturday, September 1, 2018 at UNC Lenoir Health Care. He is preceded in death by his parents Frank Carter and Annie Bensley Carter and five siblings. John is survived by his wife Kirleen Barwick Carter of the home; daughter Doran "Dottie" Faye Carter of Wilmington; sons John Calvin Carter, Jr. and Michael Derrick Carter and wife Jeana both of Kinston; grandchildren Sarah Nichole Carter, Marley Brooke Carter and Kaylynn Marie Carter; sisters, Mandy Ellis and Sallie Boone; brothers, Walter Carter, Graham Carter and Ernest Carter. Visitation will be held 6:00 p.m. to 8:00 p.m. Tuesday, September 4, 2018 at Garner Funeral Home. Memorial service will be held 11:00 a.m. Wednesday, September 5, 2018 at Garner Funeral Home. Burial will be held at a later date.